In Gravity, astronaut Ryan Stone finds herself alone and adrift in space after a shocking accident destroys her space shuttle and kills the rest of her crew. Director Alfonso Cuarón's gripping visuals propelled the film to 10 Academy Award nominations, including Picture, Actress (Sandra Bullock), Director and many technical awards. 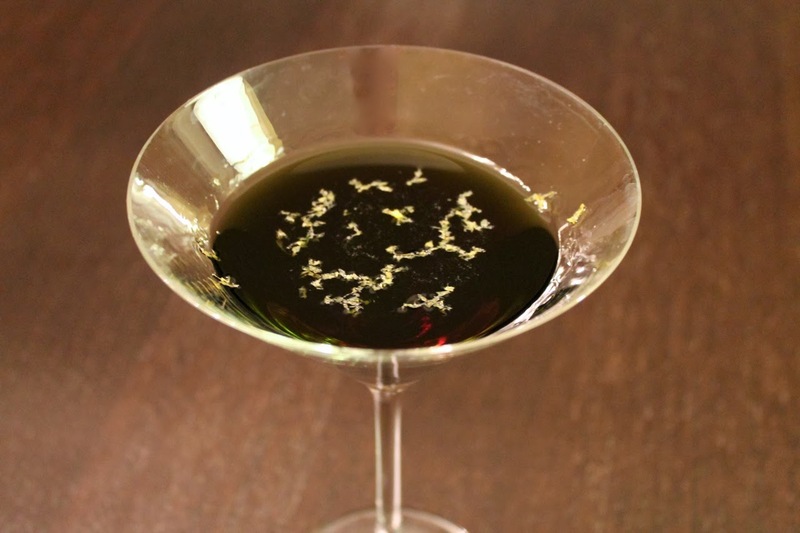 The Gravity cocktail is inspired by Gravity's setting: outer space. I chose a mix of spirits that mixed together was as close as I could get to the blackness of space, with a sprinkling of lemon zest for the stars. 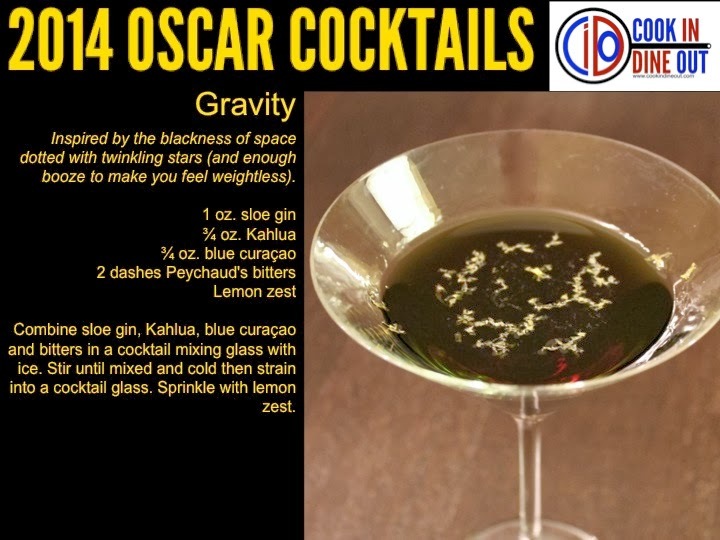 Plus, lacking any nonalcoholic mixers, the drink has enough booze to remind you of the weightless feeling of the film. Combine sloe gin, Kahlua, blue curaçao and bitters in a cocktail mixing glass with ice. Stir until mixed and cold then strain into a cocktail glass. Sprinkle with lemon zest.
" ... [E]nough booze to remind you of the weightless feeling of the film." Ha! This is a clever cocktail recipe. Thanks. It's sort of an odd combination, as I was going more for the color (black) than anything. But it actually tasted pretty decent too.